Abode Srl. Our official blog. Everything Italian and more. Italian Real Estate is our business. 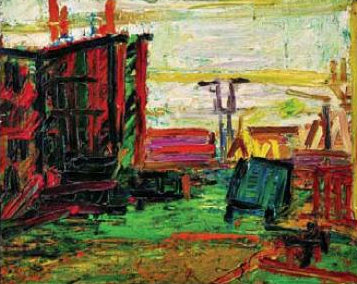 : Auerbach long-lost painting found in Milan. Sotheby's senior art specialist Oliver Barker found the painting by Frank Auerbach in Milan. The painting entitled Morning Mornington Crescent has been in storage since 1973. Mr. Barker had a tip-off and immediately flew out to Italy. The painting will be sold in London with an estimate of 800,000 GBP on the 12th February 2014.